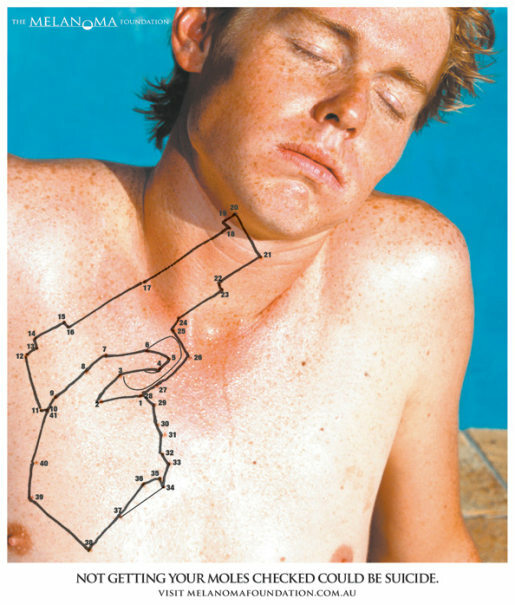 The Melanoma Foundation in Australia ran a print advertisement in the MX newspaper recently, inviting readers to join the dots to get the message, “Not getting your moles checked could be suicide”. The ad ran near the popular puzzle section so that people would be likely to have a pen handy. The Dot to Dot puzzle was developed at M&C Saatchi, Sydney, by creative director Ben Welsh, art director Jason Woelfl and copywriter Alister McCann.